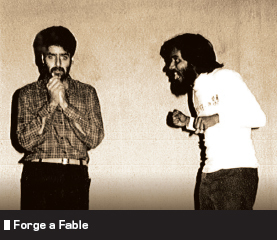 Romesh’s engineering talent may have been honed at IIT Delhi but his acting prowess was forged in the crucible of revolutionary theatre that characterised the 1970’s. “I had an idyllic childhood in a small town called Udhampur near Jammu where my father was posted and it was here that I had my first brush with theatre and the arts. I was very fond of singing, especially film songs and later even ghazals. I loved watching films and imitating people and their unique mannerisms. 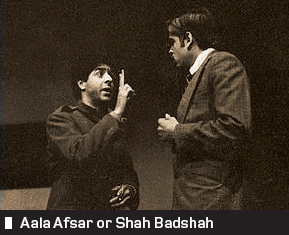 I began participating in plays and Ram Leela productions and soon realised that I had an affinity for the stage. I was more inclined to the performing arts rather than other activities like swimming, boating, etc., much to the despair of my father,” he says with a tinge of nostalgia in his voice. Romesh’s talent found further expression during his studies at IIT Delhi. Blessed with a keen visual and spatial sense, he opted to study Design but found that it involved too much differential math to sustain his interest for long. His attempt to switch to Industrial Engineering didn’t, however, work out. This gave him plenty of time to focus on theatre. “It was perhaps the most creatively enriching time as I got to work with stalwarts like M.K. Raina, Ravi Vaswani, Ranjeet Kapoor, Anupam Kher and Habib Tanvir. In fact, I learnt a great deal from Habib Saab including how to advance a story by means of musical interludes and how to use music to convey a broad theme substantiated by dialogue. He was a stickler for perfection. Moreover, one of my most memorable roles during my time at IIT was that of Savitri in the play Do Yamraajo ki Bhidhant! As it was an all-male hostel, we had to take on all the female roles as well which proved to be an interesting experience. Unfortunately, as a result I got stuck with the moniker of Savitri for the rest of my college days!” he laughs. 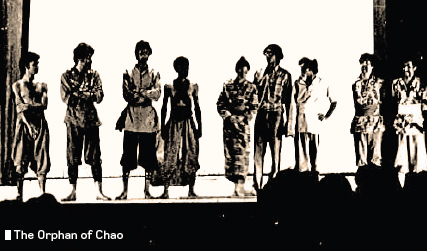 way of thinking and most of the plays staged had a distinctly revolutionary tone. Also, at that time theatre was not viewed as a very viable profession unlike today when young people have so many options. Although I could never consider acting full time, theatre was a very important part of my formative years and remains a huge influence on my life,” he concludes.